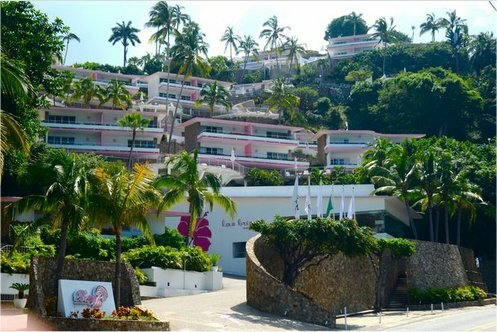 2019 Luxury Las Brisas Acapulco in Acapulco, Mexico! Bid per Room Per Night and Choose Your Length of Stay! 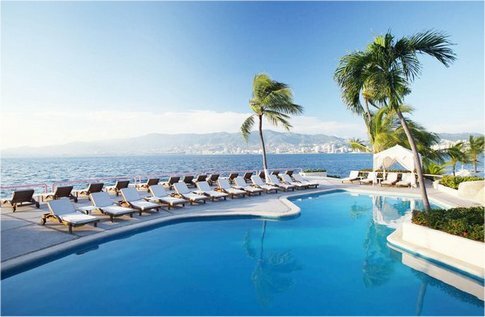 Escape to the romance, sophistication, and glamour of Las Brisas Acapulco, a seaside Acapulco luxury resort surrounded by tranquil hibiscus gardnes and sparkling bay views. A million miles away yet surrounded by endless activities, Las Brisas Acapulco truly ranks as one of the world's most extraordinary vacation destinations. 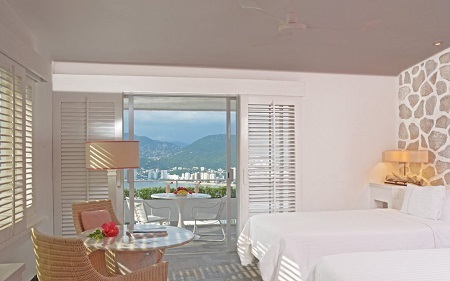 All guestrooms feature stunning ocean or bay views and modern, minimalist décor with a color palate of white and pink. For the ultimate in luxury, the cavernous, grotto-style marble baths feature a rock-tiled shower and step-down tub. 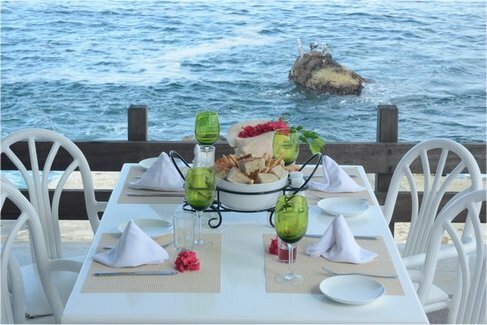 From refined gourmet cuisine to casual snacks and beverages, Las Brisas Acapulco features four hotel restaurants to satisfy any tastes. Offer is based on single or double occupancy in a Brisas Special Room. Tax and service charges are $39 per room per night additional.